Advice and inspiration for creatives! What are you biggest fears as an artist? Have you gotten over them, or do they still plague you? How does fear affect your art-making? The Good to Know Project is full of advice + inspiration from artists/illustrators/designers on creativity, business and life. 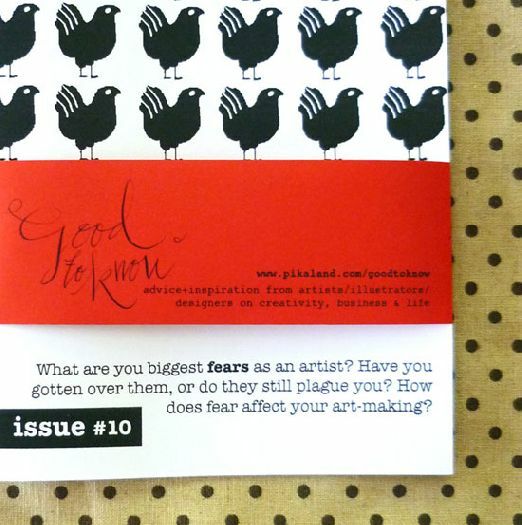 This issue has 16 artists who share with us their thoughts on the subject! Measurements: Zine is A5 sized, 20 pages, staple-bind.